Balochistan has a long history of civil and armed unrest since the creation of Pakistan in 1947, with ethnic Balochs advocating greater autonomy within the state or complete separation. Balochistan holds the largest single source of domestic energy reserves in Pakistan, but Baloch groups argue these resources disproportionately benefit other provinces and ethnic communities. The Baloch people remain one of the poorest communities within Pakistan with some of the lowest literacy and employment rates and life expectancies. “The army bombards Baloch civil settlements. They poison the water reservoirs. They use chemical weapons and dangerous gases. They rob and burn down Baloch villages regularly. When they rob Baloch villages, they take away women and kill men and children. They also abduct young Baloch men and their mutilated bodies are found a few days later. 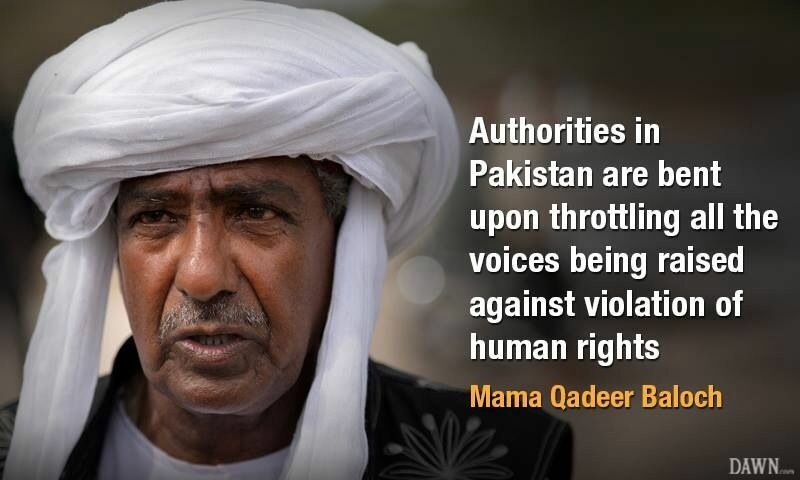 This happens very often” – Naela Quadri Baloch, president of the World Baloch Womens’ Forum. Bibarg zardkoohi was born in a village 50 kilometers south from Iranshar called Zardkooh. Living under the brutal oppression of the foreign occupation of his land coupled with his sensitive and compassionate nature, Zardkoohi was a restless man in search of freedom. Birbarg Zardkoohi was under the patronage of his elder brother and mentor Rahim Zardkoohi. Birbarg received his calling from his land and people. Upon his break from prison during Khomeini’s revolution in lran in 1979, Rahim Zardkoohi returned to Balochistan and was joined by his brother Birbarg in organizing Balochistan-e-Raji Zrombesh. Even having limited resources, the Baloch freedom fighters under the leadership of Zarkoohi brothers proved to be a nightmare to the occupying Iranian forces. Martyrdom of Rahim Zardkoohi on 26th December 1979 was a blow to the resistance movement in the occupied Baloch land by Iran. The Persians breathed a sigh of relief of having thought to have crushed the Baloch fight for freedom. In such a critical juncture, Bibarg stepped forward and took the command of the movement upon himself. His bravery and knowledge of military tactics filled the vacuum created by the untimely departure of Shaheed Rahim Zardkoohi. Under his leadership, Baloch freedom fighters inflicted heavy losses on Iranian forces, even the Persian settlers were afraid to venture in Baloch land. On 3rd of June 1985, this brave son of Baloch Motherland was encircled by Iranian forces; he fought till his last breath. Bibarg and Rahim Zardkoohi come from a long of martyrs of whom their blood has been spilled but not in vain. Their blood feeds the tree of liberty and is oil to the beacon of freedom that lights the path of today’s fighters for an independent Balochistan. Let that tree grow tall, let that beacon burn brightly for the Baloch have been to the mountaintop and they have seen freedom. Ethnic cleansing is not unheard of in Pakistan. As is reported in other parts of Pakistan, religious fundamentalist forces aiming at the homogenization of the society have conducted targeted killings of minorities. Many international agencies Amnesty have unearthed the role of Pakistan’s military-intelligence complex in these acts. This has created a sense of fear in the minds of Baloch people. Balochistan has a long history of civil and armed unrest since the creation of Pakistan in 1947, with ethnic Baloch groups advocating greater autonomy within the state or complete separation. Balochistan holds the largest single source of domestic energy reserves in Pakistan, but Baloch groups argue these resources disproportionately benefit other provinces and ethnic communities. The Baloch people remain one of the poorest communities within Pakistan with some of the lowest literacy and employment rates and life expectancies. Also, Baloch’s don’t want their secular and tolerant culture to be corrupted further by the influence of fundamentalists from Pakistan. This also motivates them to want freedom from Pakistan.